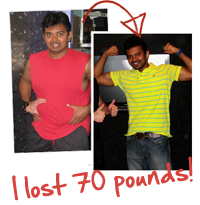 Working with a Live Fit personal trainer will take you to the next level in reaching your fitness goals. Whether you are looking to lose weight, gain muscle, or improve your athletic performance, personal training is the best way to do it. While our boot camp and CrossFit classes are excellent, they are not designed specifically for you like our personal training sessions are. It is this individual attention and the accountability that comes with being the only person training that makes personal training so effective. Working out has changed my life; in fact, it has actually given me my life back. It is an investment that has paid back ten-fold. Thank you very much Brandon for all you have done to help me reach my fitness goals. Through this process I have lost 64 pounds, 40.5 inches, and 21% body fat. I have gone from a size 18 to a size 8. Any personal training that you do with us will start with a body diagnostic and a goal setting session. We can’t help you to reach your fitness goals if we don’t know what they are (and don’t worry, we are great at helping you to put your goals into words). After we understand your current fitness levels and what you are trying to achieve, we will create a plan that will help you to get there as quickly as possible. Your trainer will design a plan to meet your needs, will track your progress, and will make the adjustments to keep you making progress. 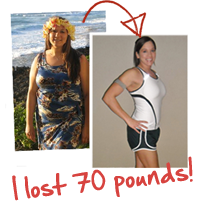 Our trainers know how the body works and how to get you into the best shape of your life. You won’t ever wander into the gym and have to think about what you should do today – your trainer will guide you through your customized plan. You will never have to wonder if you are doing an exercise right – your trainer will teach you to do everything correctly to cut down the chance of injury and to help you to work most efficiently. I have battled my weight all of my life. At my heaviest I weighed 230 pounds. I always thought I knew how to lose weight and exercise, but I never seemed to achieve the results I wanted. Six months after starting personal training, my life changed forever! I lost 70 pounds during my training and went from a size 20 to a size 7! Can’t I Do It On My Own? I know what you’re thinking… Can’t I just do this on my own? You are welcome to try! What we have found however, is that our clients that make the most progress the fastest are those that have personal training as a part of their fitness plan. The customized program and the education and the accountability that a trainer provides makes all of the difference. If you are looking to make a major health and fitness change in your life, personal training is the absolute best place to start. 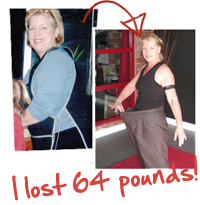 We realize that personal training is a big investment in time and money, but it really is the best way to get results. Our trainers work hard to make sure that you are reaching your goals and doing it in a timely fashion because our clients matter to us. One of the best things about Live Fit is that we have built a great community of people all working together to meet their goals. The only way that we can do that is to get to know and care about our clients. The community that we have built here is what makes Live Fit special, and we want you to be a part of it! I weighed 226 pounds. I knew that it was time to be serious about my body but I could not do it alone. I had closely observed Brandon training clients for over two years before I decided train with him. The results I achieved training came faster than anything I had tried in the past. I lost 58 lbs. and 10 inches off of my waistline.